Oh, come on now, you've done it too. No, people, I'm not talking about p-horn. Shame on you for even thinking that. I'm talking about marital advice! I consider myself extremely happily married, but that doesn't mean I won't check out the articles that occasionally drift through my Facebook feed offering advice on maintaining a well-balanced, satisfying relationship. After all, there's no reason you shouldn't try to improve on a good thing, right? I've seen a ton of those posts lately though, and I have to say I'm usually a bit disappointed when I click through. Google it for yourself and you'll see, most of the articles you find repeat the same tired old obvious marital platitudes: "make time to be together," "remember to make time for yourself," "keep the romance alive," and so on and so on. These are all great ideas, but they're also the kind of intuitive tips that most 14-year-olds with some common sense could probably come up with. 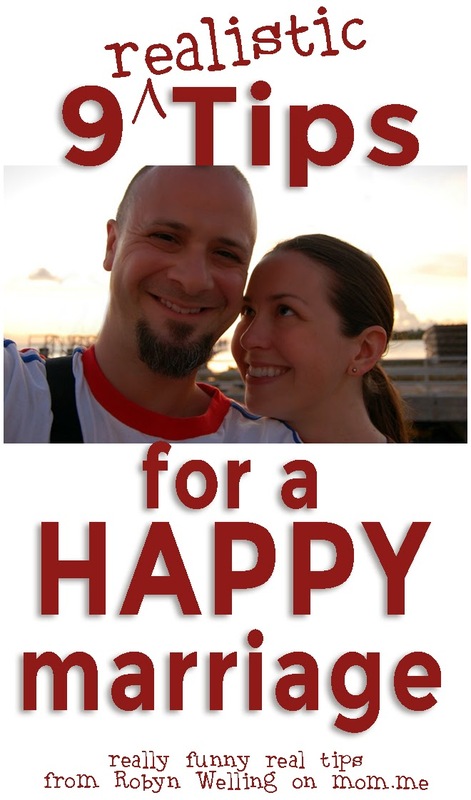 So stop over at momdotme to see what I (a self-proclaimed expert... with a 14-year-old's sense of humor) have to say when it comes to realistic advice for having a happy marriage!